During the late 19th and early 20th centuries some prisons had well equipped machine shops and allowed prisoners to use them. Prisoners had a lot of time to learn to forge and engrave their work. Canon City, Colorado, Walla Walla, Washington, and Huntsville, Texas are a few of the prisons that made spurs. Prison made spurs, hitched horsehair items, and braided leather items are very collectable. 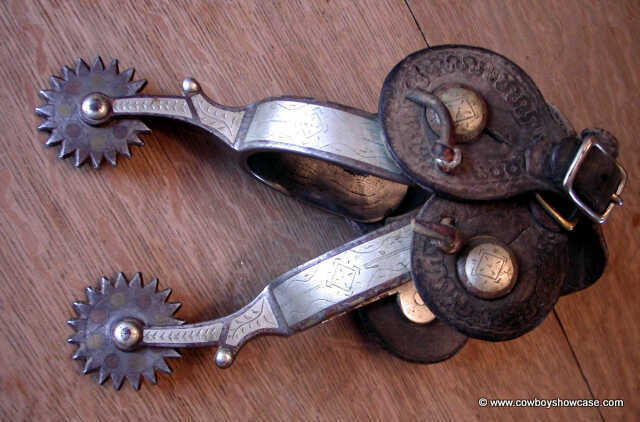 These old spurs are attributed to an inmate of the Carson City, Nevada state prison. They are made of steel, with a top edge overlay of brass, and copper, and overlaid with engraved silver. 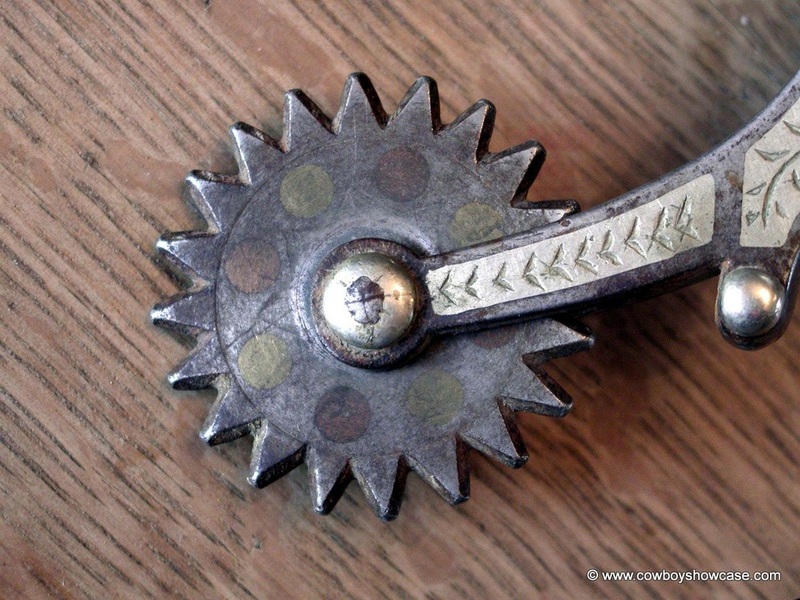 The rowels have inlaid circles of brass and copper. They have serpentine stamped original spur leathers. 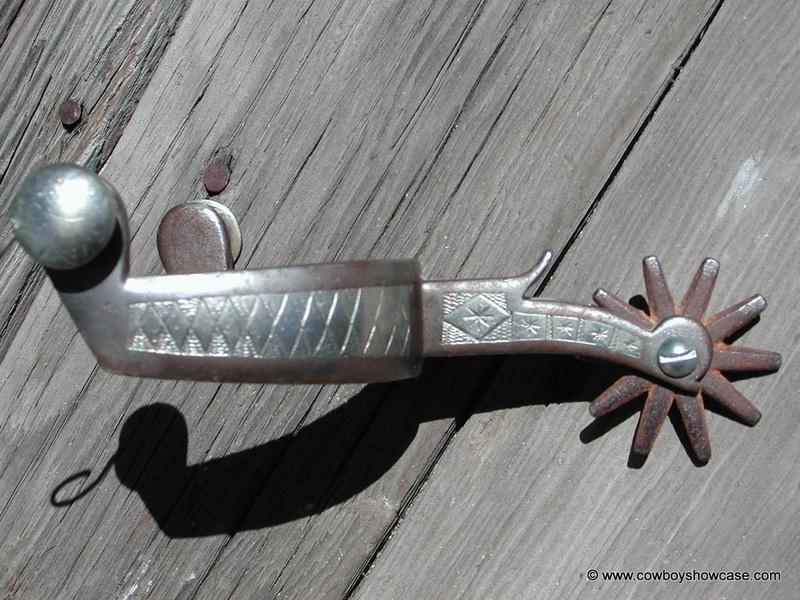 Canyon City, Colorado spurs. 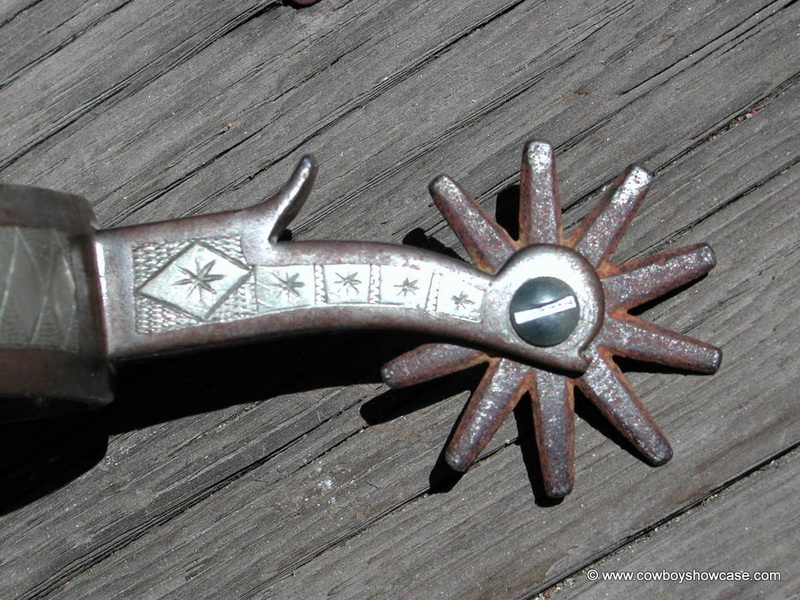 Most of these spurs do not bear maker's marks, but have recognizable characteristics.